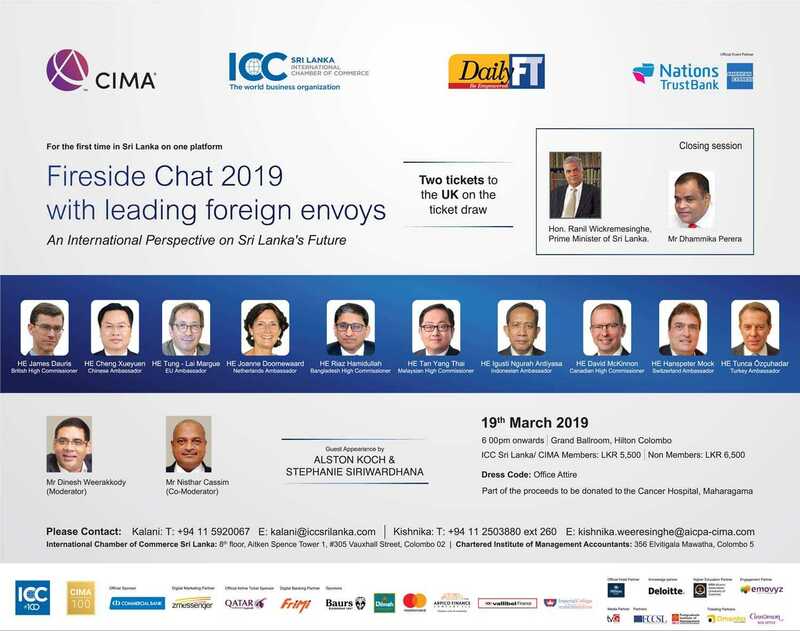 The Fireside Chat 2019 organised by Daily FT, CIMA and ICCSL will kick off tomorrow at the Hilton Colombo. 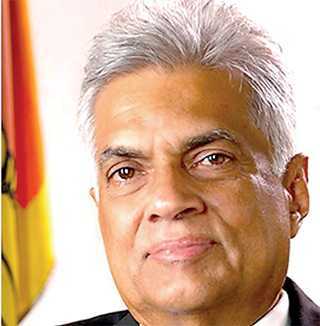 The highlight of the fireside chat this year will be the closing session with Prime Minister Ranil Wickremesinghe, who will discuss some of the key challenges and opportunities facing Sri Lanka and the way forward. Dammika Perera Chairman Vallibel Group and VishwasUdgirkar from Deloitte Consulting will also join the closing session to discuss the challenges and opportunities in the business sector and Sri Lanka. This popular event is being held for the second consecutive year organised by ICC Sri Lanka together with CIMA and Daily FT will feature leading foreign envoys. The event will feature 10 foreign ambassadors from the UK, China, EU, Bangladesh, Malaysia, Indonesia, Netherlands, Canada, Turkey and Switzerland. The envoys will provide an international perspective on Sri Lanka’s future. The session will be moderated by Daily FT Editor Nisthar Cassim and ICC Chairman Dinesh Weerakkody. The session will include a guest appearance by international singer, actor and song writerAlston Koch and popular singer Stepheni Siriwardana.The event is expected to draw a large number of corporate and business leaders in Sri Lanka. Part of the proceeds from this event like the Fireside 2018 will be donated to the Cancer Hospital.